Way back when, in the ICC days, I wrote about the troubles I faced as a hybrid player. At the time, I was playing a moonkin with a side of resto. You can read that post first if you like, I think a lot of it is still relevant to the problems that hybrids continue to face. It’s not entirely comprehensive, this is more of a personal viewpoint thing. After my experiences as a hybrid moonkin, I swore that it wouldn’t happen again. When I switched to my mage, I was very “mage for life,” and I poured my efforts into her achievements and her mount and pet collecting. Unfortunately for me, even over nine thousand achievement points isn’t an effective deterrent when it comes to character switching (and it was a big reason why I knew I should never be a contender for something like a legendary weapon – I am too fickle). That is why, at this point in time, I find myself coming back to the same issue – only it’s as a paladin. It must be tough to design encounters effectively for a ten-person raid. Any raid has a set number of “required” tanks for an encounter, although it can be flexible. Some encounters can be tanked with one less tank or one more tank depending – For instance, we did Heroic Halfus with two tanks and three healers, but I’ve heard of guilds that preferred to do it with three tanks and two healers. It all comes down to what you have available to you. A raid team can only be made stronger by having flexible people willing to change roles when need be, but at what cost? At what point does asking players to switch roles become unreasonable, untenable, or even counter-productive? The biggest obstacle to this is roster size. The majority of ten-person guilds are smaller (deliberately so). Some guilds will maintain multiple tens teams and perhaps a bigger bench, but by and large we don’t have the luxury of world first guilds that could just bring x number of available moonkins because their abilities trivialize an encounter. 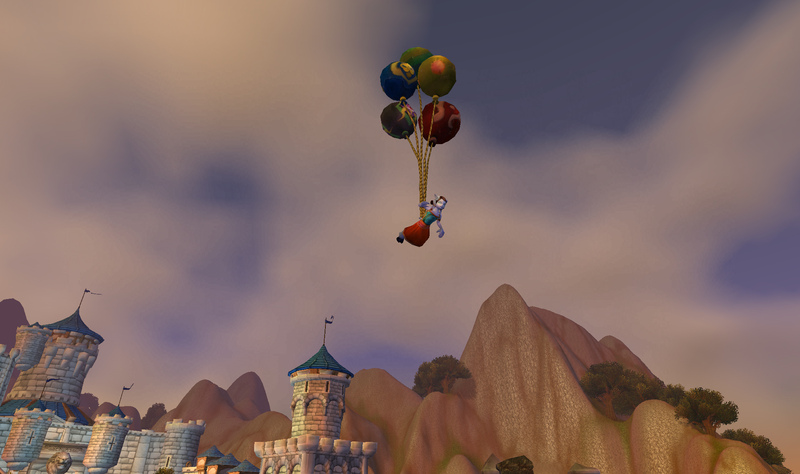 Sometimes we can have recourse to people’s alts, but for the most part we just make do with what we have. The design of encounters in this tier has not been friendly for juggling the number of tanks and healers. As a friend of mine has complained, very often the second tank was expected to switch to DPS because a fight simply didn’t require another. Rhyolith is like this, as is Majordomo. An ongoing issue for us after the heroic nerfs was how many healers does a fight need? Historically, we’ve switched between three and two healers at different times and for different content. ICC was largely two healed up until the point where that wasn’t possible, and the roster was adjusted for three healing. We’ve stayed with the three healing model up to and through Firelands, when especially in later Firelands it becomes evident that three healers aren’t necessary or even possible for quite a few of the fights. That leaves us with a problem – four active, main-spec healers on our roster and only two spots for healers on most nights (with the exception of Beth’tilac, and perhaps it will become more two healable for us but at the moment it’s more of a three healer thing). What this means is that on any given night, we either have a healer going off-spec DPS, or we bench a healer. I don’t think our healers signed up to raid for just one night a week. The other option is for a healer to switch roles entirely. All of these solutions hang on one question – what is the Dragon Soul going to be requiring in terms of healer and tank balance? We’re trying to plan our roster for the new tier of content but we aren’t sure what we should be aiming for. We’re fortunate in that some of our players enjoy tanking and DPSing fairly equally. Our excellent druid is happy to boom it up with his laser beams for some fights, and our paladin tank plays ret without complaint. As a moonkin, I liked to heal (but I didn’t actually like to moonkin). Now I am a main spec healer, and I’ve been finding out that I don’t especially enjoy raiding as retribution. Actually, that’s an understatement. I’ve been doing it so much that I’m starting to loathe it. I’m not really great at it, so it’s stressful. I’ve chased heroic Rhyolith’s legs around for hours. Each week I’ve been Ret for Alysrazor – last week saw me dying to a fire sprinkler just before the fight ended. This week I didn’t die, but my DPS was the lowest by a great margin. When I’m DPSing as ret, I always have a niggling feeling in the back of my head that if I would step out for another (better) DPS, it would make fights easier, and I wouldn’t be holding the group back. I love DPSing. I don’t love ret DPSing. And as was my problem previously as a hybrid, I want to be the absolute best I can at what I’m doing. Off-speccing Ret and DPSing a fight doesn’t allow for that. The only solution would be to DPS even more as ret, which just pigeonholes me into a corner where last week I reached the breaking point and turned to Voss and said: I COULD get better at ret. But I really don’t WANT to. I could practice art of warring until the cows come home, but ultimately it’s not why I’m playing a paladin. Now this is an entirely personal thing – nobody’s been “making” me play ret, but the fact is that we have all these nights with too many healers, and so somebody’s got to do it – or else healers sit to allow DPS to step in. I realized that I would rather sit than work on H Ragnaros as ret. It’s just that simple. I don’t learn the fight from a healing perspective as ret. I probably will hardly even see what’s going on in the fight itself, because I’m too busy hitting the buttons and hoping my Inquisition uptime is high enough and looking to see what’s procced and what hasn’t and what oh that’s fire it’s burning me ow. I realize this probably sounds very “I’m taking my ball and going home,” and petulant, and I hope you’ll bear with me there (as I insist and reiterate that this isn’t a problem with my guild or anyone in it). I’ve come to the realization that doing most of the fights in a spec I don’t like instead of a spec I do like has been killing the fun for me. It’s not even, “Oh, I’m lukewarm about this,” I logged off last Wednesday and I was probably the closest I have ever been to saying: I am tired of raiding. It is the opposite of fun for me. So nobody should have to play a spec or a class or a role they don’t like. I wouldn’t do that to someone else, why would I do it to myself? After taking the weekend while hardly logging into any of my main characters (and enjoying a lovely Thanksgiving, thank you) I realized that I had to make this known to both our other officers and my guild. They aren’t mind readers. It’s certainly not fair to them to stew quietly, getting frustrated with my position until one day I’ve just had enough and I don’t even want to raid any more. I still think that being a hybrid is awesome. Having them on a roster is even better! But you absolutely need to know that the people in the hybrid positions are willing and enjoy doing it. Some people are cut out to be hybrids in both aptitude and attitude. They genuinely have no spec preference. I guess, when it comes to my hybrid roles, I’m not really one of them. I’d rather be a holy paladin. But the way that encounters are designed, it leaves a great big question mark for ten person guilds in particular about each tier. Will their tanks be spending a lot of time DPSing? Will their healers be twiddling their thumbs, or will someone who is DPS need to swap to heals for a fight or two? We just don’t know, although the raid cooldown nature of the tank T13 bonuses seems to suggest that there will be a lot of damage going out. I will be happy to go into the next tier as either a healing paladin or a mage, but I don’t want to go as a ret paladin. Alts tend to slow raiding down so it’s not advantageous to swap from one alt to another depending on role needs. Our raid needs hybrids – the question is, who will they be? We never have been able to find an awesome moonkin; the biggest thing for us right now is that our roster is actually over-full. Only two of our healers are willing to DPS (out of four) and I know the others feel guilty about it. But really, why should they have to DPS? Is it a better model to just start sitting healers for a “real” DPS? If I move to a DPS role it means fewer available DPS positions. We may be doing some more shuffling, with having someone else move to tank and our current tank move to DPS, which would open up a position for me to do that. Overall, though, it’s frustrating. Speaking as someone who loves playing a “pure” DPS, it’s unfortunate that we have nothing to recommend us but our DPS, when the smaller raid size is so favourable for hybrids. Our raid would probably be perfect if we had an ele/resto shaman, a boomkin/resto druid, and plate DPS that was willing and able to tank. 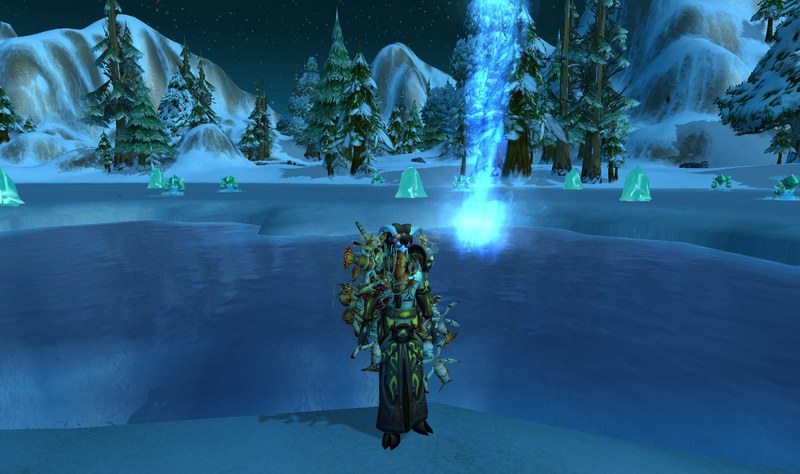 We have a fabulous elemental shaman, and he just doesn’t like healing. I can’t blame him! I don’t like melee DPS. I can’t expect him to do something he doesn’t like and probably wouldn’t be good at, and therein lies the problem. Finding 10-15 people with the appropriate specs, personalities, skills and willingness to swap roles is an almost indescribable juggling act. We shouldn’t be unduly penalized for having two mages, or two paladin healers, or whatever. Except that we are. One of the big reasons I am thinking of switching is because two paladin healers for one ten man team is often not just less than ideal, it’s nearly impossible. Neither of us has the raid healing strength to fill that niche. The upcoming changes are working to address that, but it remains that our holy paladin would be better off healing with any of the other three types of healers by his side – not another holy paladin. That’s frustrating, and it’s disappointing to me personally because I love paladin healing. That’s not really what this is about, though. What it comes down to is that it’s usually better to have a hybrid, but when you’re a hybrid that hates your other spec you aren’t much use as a hybrid, and then what do you do? I hope you’ll forgive the somewhat ranty nature of the above post. I have put off writing about this because I didn’t want to be too much of a whiner (hence the radio silence for the past two weeks while I quietly seethed). I want to do the best thing for my raid team, but I also want to do the best thing for myself, because if I’m not having fun then my priorities are severely skewed. Edited to add: Beru over at Falling Leaves and Wings wrote an excellent post this morning about this very problem, from a broader overview and 25s perspective. It behooves you (har) to go check it out!